Details have leaked via Game Informer regarding Commander Shepard’s next voyage in Mass Effect 3, the first simultaneous multi-platform release in the series. If you’re itching to find out more information about the blockbuster release, then you’ve come to the right place. The following details include information about the story, playable/returning characters, classes and the game’s RPG elements. Though a heavy spoiler warning is definitely in effect. If you’re not worried about any spoilers, then please read on. The Illusive Man will apparently play a large role within the game’s storyline, which is said to be based around Cerberus wanting to kill Shepard. As it takes place after the events of Mass Effect 2’s Arrival downloadable content, Commander Shepard is on Earth for a trial (those who’ve played through the last game and the recent DLC episode will know the details of this case.) 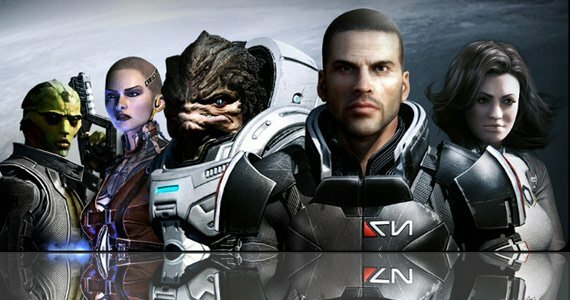 As with the PlayStation 3 version of Mass Effect 2, the game will ship with an interactive comic that will help give new players an introduction to the series and can also be used to make choices for new playthroughs. These are the only story-related bits of information to have leaked because Bioware hopes to keep most of the story under wraps. As can be expected, there will be multiple endings available within the campaign. As for the RPG, combat and overall gameplay changes, Bioware has said that they are working on making the gameplay a mixture of the first and second games (a middle ground of sorts.) The weapons will be a lot like they were in the second game, but classes will be restricted with the amount that they can carry. However, the soldier class can carry all weapons at once. Weapon mods from Mass Effect 1 make a return, to allow for players to customize their weapons for how they like to use them. Lastly, Bioware confirmed that there will be no multiplayer. Sorry folks! More information will hopefully be released as the game’s release date creeps closer. We’ll keep you posted if we hear anything.